CHICAGO — One-day passes for this summer's Lollapalooza sold out in about an hour Wednesday morning — meaning the festival is completely sold out just days after the lineup was released. According to Lollapalooza's Twitter account, the Saturday and Sunday single-day passes sold out about 10:30 a.m., and the Friday passes were gone soon after. The official lineup for the festival was released Monday, and included already leaked headliners such as The Cure, Mumford and Sons, The Killers, Nine Inch Nails, Phoenix and dozens more. The festival will be in Grant Park Aug. 2-4. 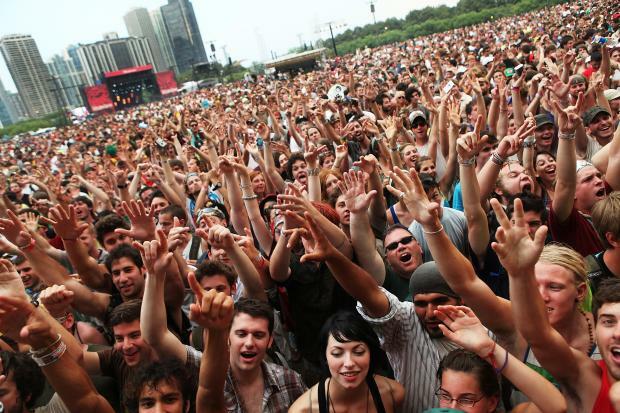 Earlier this month, Early-Bird Passes for Lollapalooza sold out in minutes, and full-price, general admission three-day passes sold out soon after.